Moxibustion employs the herb mugwort (Artemisia vulgaris), or moxa, burned near specific points of the body, for its warming and blood-invigorating properties, usually in conjunction with Acupuncture. “Moxa” is a Chinese herb from the Chrysanthemum family (Folium Artemisiae Vulgaris), commonly known as mugwort. It is rolled into sticks or cones and burned either on or above the skin. 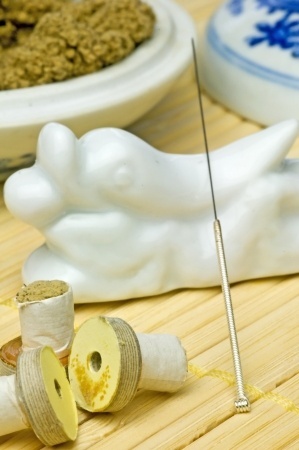 Burning this aromatic herb (Moxibustion) creates a sensation that is warming and pleasant. It helps to regulate the body and strengthen the immune system. New to Acupuncture? No worries. We have provided brief answers to many questions you may have.